Today i donned my frilly apron & done some baking for the kids lunchboxes. I made some button shaped bikkies - aren't they cute? (Inspired by these). Chas, who is almost seven, gave them the all important seal of approval - they are "cool". And Amity declared the next time i make these she has to be there to help. 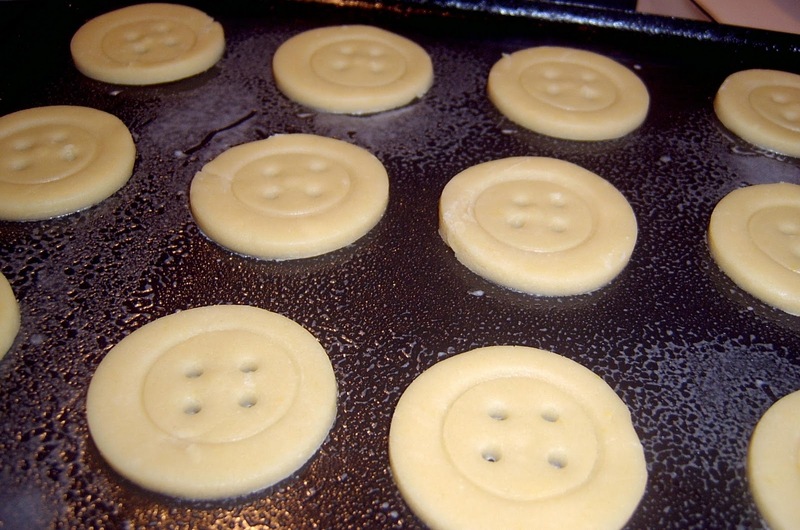 They were quite simple to make, i used a simple biscuit recipe & rolled the dough out then cut circles with a round cookie cutter, i then did the inner circle by pressing down with the base of a small medicine cup & made the holes with the tip of an old kids medicine syringe (i knew i kept those things for a reason!). Most importantly they taste yummy. Yes do i'm sure Indy will love to help!